Fubelly is a discovery platform that uses beautiful storytelling video to help you engage with restaurants, coffee shops, bars, and more in Oklahoma City, Kansas City, Tulsa, Austin and other cities soon! 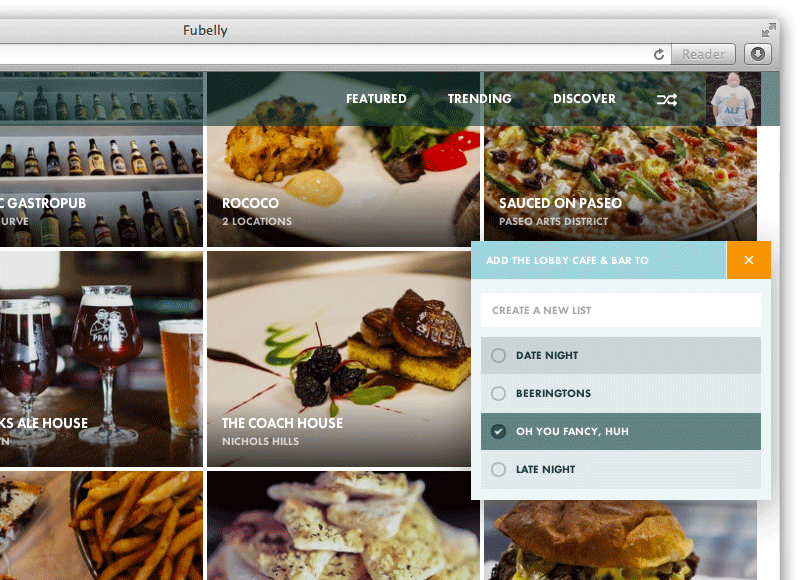 Our team at Fubelly sifts through hundreds of food and drink establishments in your city so you don’t have to. We unearth local spots that are unique, friendly, and committed to excellence. Then we share them with you, revealing their stories through videos, connecting you to these incredible joints to grab a bite or sip a pint in your city. Every dish has a history and every drink has a past. The best food and drink is made with passion and it's that passion that allows you to know what you’re getting into. 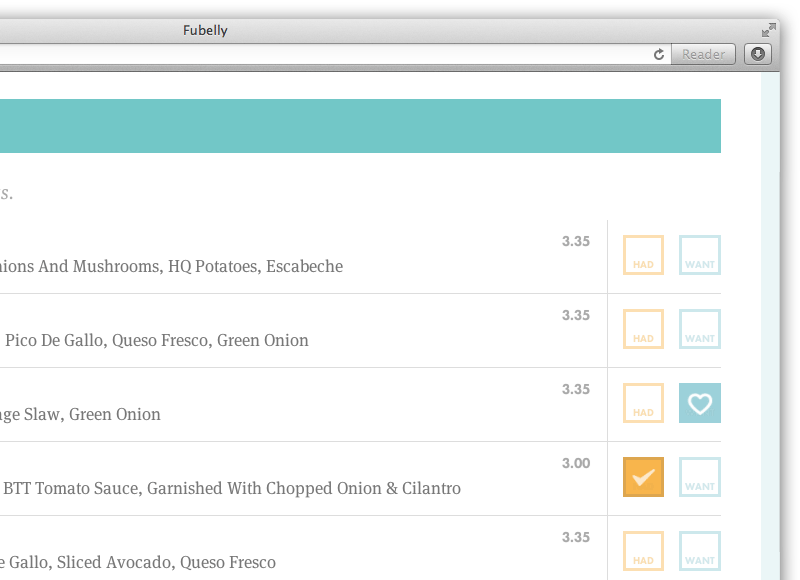 With Fubelly, you can see the story of who is making your food and why, allowing you to make the best possible dining decision. The story doesn’t end when you enter a great establishment. It begins when you sit down at the table. We give you tools to help you log the dishes you love and remind you of the ones you want to try. We show you what’s popular and what the chef wants to show off. We help you expand your experience beyond a single sitting.